Place a handful of ice in a copper mug. 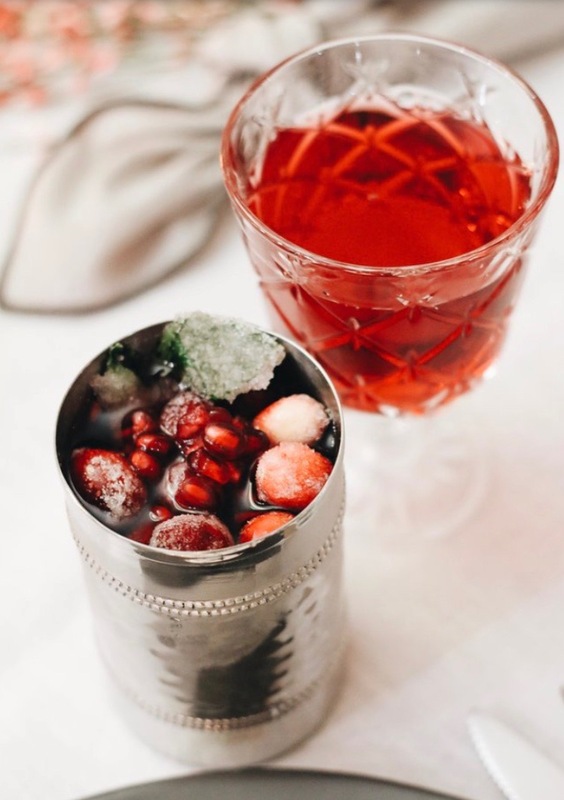 Combine the cranberry juice, ginger beer and vodka in a cocktail shaker or mason jar. Shake until combined; pour over ice and top off with sparkling lemonade or pomegranate juice and fresh citrus. Garnish with pomegranate arils, sugared cranberries and mint leaves. Enjoy!